I've been a fan of the New York Jets since their first year (1963). I've always had an ability to write and have spent 40 years as a professional business writer and editor. Now, I've had the pleasure of creating the definitive story of the 1968-69 Super Bowl Jets, the only world championship in the franchise's checkered history. I use the word "definitive" advisedly because this book tells the tales of that most memorable Jets team from the perspectives of all 45 players who put on a Jets' uniform that year, plus Coach & General Manager Weeb Ewbank, Assistant Coaches Clive Rush, Walt Michaels, Buddy Ryan & Joe Spencer, and Principal Owner David A. "Sonny" Werblin. 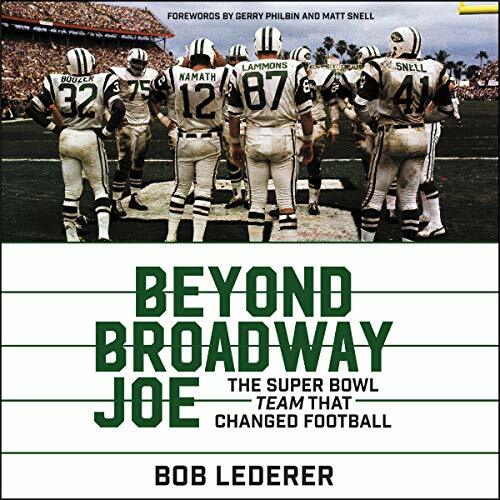 Jets fans and football fans who appreciate or want to learn how Super Bowl III radically changed the National Football League will enjoy "Beyond Broadway Joe: The Super Bowl TEAM That Changed Football" immensely.